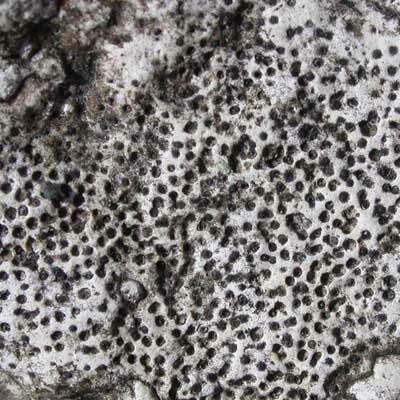 This lichen — one of our commonest species of Verrucaria — occurs on bare limestone surfaces often covering vast areas with their hard, round discs (perithecia). 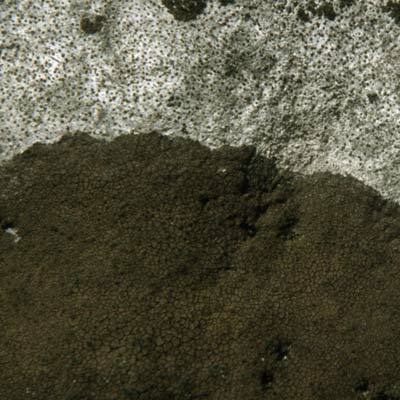 The discs are extremely small (often beyond the resolution of the naked eye) and resemble miniature spheres of lead shot pressed into the rock. From above they are pinprick-sized dots. Examined with a lens the top of each disc can be seen to have a pore-like opening called an ostiole cracked into the shape of a star. Often the discs decay leaving a dense pattern of empty pits. Through a hand lens the top of each spherical disc has a pore-like opening shaped like a star. Simms, M. J., (2016). 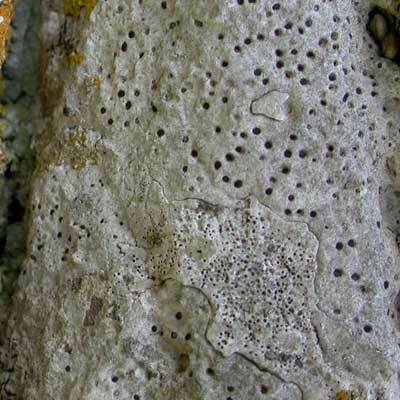 Verrucaria baldensis A.Massal.. [In] LichenIreland.